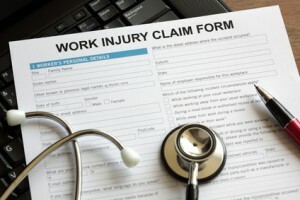 Am I covered for my workplace injury? It is a question our patients commonly ask. If you suffer a pain-inducing workplace injury in or around Philadelphia, you may — in fact — be covered by workmen’s compensation. The Pennsylvania Department of Labor and Industry publishes a number of helpful pages of information on their website, explaining workmen’s comp, such as the one at this link. If you sustain a job injury or a work-related illness, the Pennsylvania Workers’ Compensation Act, or Act, provides for your medical expenses and, in the event you are unable to work, wage-loss compensation benefits until you’re able to go back to work. Additionally, death benefits for work-related deaths are paid to your dependent survivors. Benefits are paid by private insurance companies (also includes third-party administrators) or the State Workers’ Insurance Fund (a state-run workers’ compensation insurance carrier) self-insured employers. Nearly every Pennsylvania worker is covered by the Act. Employers must provide workers’ compensation (WC) coverage for all of their employees, including seasonal and part-time workers. Nonprofit corporations, unincorporated businesses and even employers with only one employee must comply with the Act’s requirements. Some employees are covered by other compensation laws, including: federal civilian employees, railroad workers, longshoremen, shipyard and harbor workers. Others who may not be covered include volunteer workers, agricultural laborers, casual employees, domestics and employees who have been granted a personal religious exemption from the Act. Certain types of executive officers of corporations may elect exemption from the Act. A worker should seek further information if there is any doubt as to coverage. If you learn that your employer does not have insurance or is not self-insured for workers’ compensation, you may be eligible for benefits from the Uninsured Employer Guaranty Fund. For details, call the Bureau of Workers’ Compensation, toll free, at 800-482-2383; or locally and outside Pennsylvania at 717-772-4447. If you are experiencing pain from a workplace injury or accident, contact one of our many Philadelphia locations to make an appointment with a pain management doctor or medical professional who can help you get relief.